Effect of default, two UCCJEA cases, Voluntariness of termination of employment, Award of frozen pre-embroyos, Imputation of income, Standing for former boyfriend to seek visitation, Personal injury proceeds as separate property, Independent tort claim against ex-husband’s employer and more. It’s a terrific, highly readable book on the role negotiations play in various aspects of life. You can purchase it on Amazon by clicking here. From all of us at Loeb & Herman, we wish you and your family a warm and joyous holiday season and a Happy New Year! Negotiating settlements is a skill. Like any skill, learning more about it can help you do the job better. Since as divorce lawyers, we spend more of our time negotiating than litigating, we owe it to our clients to become as good at negotiating as possible. In this month’s Thoughts on Family Law, I discuss three books (shamelessly, one of them is my own!) 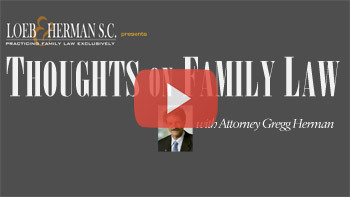 which can add to the negotiating skills of a family law attorney. Separation agreement provision, under which, should the parties divorce, wife was to be entitled to one-half of husband’s retirement, defined-contribution pension account, or any other employment benefits, had two possible interpretations, and therefore, the trial court should have looked beyond that provision to determine if the ambiguity was clarified when viewed in the context of the entire agreement, and if not, should have considered parol evidence to determine the meaning of the paragraph; the provision could be read to describe one category, “retirement benefits,” with three modifiers, or three distinct categories. Entry of default in divorce action operated as an admission of truth of wife’s allegation in complaint that three children had been born as issue of marriage, and therefore, husband was precluded from challenging paternity of parties’ first child, who husband alleged was born prior to the marriage. Father and children lacked significant connection to Mississippi, and thus Chancery Court lacked the ability under Uniform Child Custody Jurisdiction and Enforcement Act (UCCJEA) to make initial custody determination; although children went to Mississippi every summer to stay with grandparents, Arizona had been children’s home for entirety of their lives, majority of children’s social, medical, and school histories were based in Arizona, and father and children had only been in Mississippi for two months. Evidence was sufficient to support trial court’s finding that former husband’s termination from his employment was not voluntary. Former husband had received a severance package from his former employer, which did not support former wife’s assertion former husband was terminated for cause, and the court noted that former husband submitted hundreds of resumes and was willing to relocate if need be to earn a salary close to the $150,000 per year he had previously earned. In considering whether to award spousal maintenance, trial court acted within its discretion in taking into account income-earning potential of investment assets and certificate of deposit that wife received in equitable distribution of marital property after marriage of approximately 22 years. In doing so, the district court must consider the tax consequences, if any, of requiring the maintenance-seeking spouse to reallocate assets to create income. Wife in dissolution of marriage proceedings was not entitled, over husband’s objection, to be awarded two frozen pre-embryos, containing wife’s and husband’s genetic material, so that she could continue in vitro fertilization (IVF) process in an attempt to have successful pregnancies and potentially have more children with husband; wife was not pregnant such that her interest in bodily integrity would outweigh husband’s interest in procreational autonomy, parties did not begin IVF process due to any inability of wife to otherwise achieve parenthood, denial of award to wife would not completely foreclose the possibility of her implanting the frozen pre-embryos and achieving parenthood by their use at some point in the future, and husband’s fundamental right not to procreate would be irrevocably extinguished if wife bore more of his children against his will. In the Matter of T.R. Illinois judge’s docket entry, which provided that Illinois court was transferring custody matter to North Carolina, was tantamount to order determining that North Carolina was the more appropriate forum, and thus allowed trial court to make initial custody determination under Uniform Child-Custody Jurisdiction and Enforcement Act (UCCJEA), and trial court possessed jurisdiction to make initial custody determination under provision of UCCJEA allowing such determinations if court of the home state declined to exercise jurisdiction on the basis that North Carolina was more appropriate forum. The trial court abused its discretion when it modified the parties’ consent agreement and divorce decree to include a “C” grade point average support limitation on father’s provision of college support for the parties’ children, where there had been no written or oral requests for modification of the consent order to include a grade point average limitation, and the issue was not tried by the express or implied consent of the parties as mother objected to questions regarding the grades of the children. Where a parent obtains an order compelling another person to pay child support based on the parent’s successful argument that the other person was a parent to the child, the parent who obtained child support will be judicially estopped from taking the inconsistent position that the other person was not, in fact, a parent to the child for purposes of visitation. Supreme Court, in divorce proceeding, providently exercised its discretion in imputing annual income of $240,000 to husband from his construction business; Supreme Court relied upon the report of neutral financial evaluator and testimony at trial establishing that husband had total control over company’s bookkeeping and finances and funneled personal expenses through the company. Mother’s former boyfriend lacked standing to seek visitation with mother’s daughter; former boyfriend, who dated mother and lived with mother and daughter from the time daughter was 16 months old until she was four years old, did not establish the existence of a parental relationship between former boyfriend and daughter, who was eight and one-half years old at the time of trial. Where neither parent has the child for a majority of the time, the parent with the higher income, who bears the greater share of the child support obligation, should be deemed the noncustodial parent for purposes of child support. Mother who was never married to father, and whose income exceeded that of father, should have been deemed noncustodial parent, and thus, father was entitled to termination of his child support obligation and award of child support from mother, even though mother had sole legal custody of child; mother and father had equal parenting time, including an alternating holiday schedule and equal amounts of vacation. Husband was not barred from claiming personal injury settlement proceeds as separate property, even if no damages designations had been established at the time of settlement; personal injury settlement was intended to compensate for husband’s entire loss, and because the marital estate had already been mostly compensated for its loss, the remaining settlement funds should not have been used to compensate the marital estate for more than the amount still owed when the marital estate’s total loss at the time of trial appeared to be only a fraction of husband’s separate loss. Evidence was insufficient to demonstrate biological father had known superior right to custody of child, as element required to demonstrate waiver of superior right to custody of child to mother’s former husband, though biological father was generally aware of potentiality that he was child’s father; evidence was presented that biological father performed reasonable investigation into his general awareness, that mother told biological father that he was not child’s father, that mother held husband out to be child’s father, and that biological father did not sleep on his rights, but upon mother informing him that he was father, took appropriate actions to establish paternity and begin having relationship with child. Evidence was insufficient to demonstrate biological father made voluntary and intelligent surrender of his superior right to custody, as elements required to demonstrate waiver of superior right to custody of child to mother’s former husband, though five years passed between when child was born and when biological father sought custody; circumstances of separation between biological father and child derived predominantly from mother’s deceit, including telling biological father that he was not father and holding out husband to be father, and biological father acted swiftly and decisively to establish paternity and interact with child once mother’s deceit was lifted. In proceedings to change name of minor child, application of inaccurate factors that had no basis in binding caselaw and perpetuated gender-based distinctions in favor of father constituted plain error; application of factors was legal error as factors contained doubtful premises that court should not accept or perpetuate, were based largely on gender stereotypes, and were not grounded on the best interest of the child, and error affected substantial rights as trial court based its ruling solely on the erroneous factors. Background: Ex-wife brought action against ex-husband’s employer, alleging that, after the final judgment of dissolution, the employer conspired with ex-husband to fraudulently conceal his true income, thereby precluding ex-wife from exercising her right to seek an upward child support modification of a dissolution decree. Held: Ex-wife could not pursue an independent tort claim against ex-husband’s employer for fraudulent conduct that occurred after the final judgment and that falsely depressed ex-husband’s income so as to limit the obligation for child support. Income could be attributed to husband when computing child support award upon dissolution of marriage, despite his involuntary unemployment due to serious medical event for which he received six months of short-term disability pay from employer; nothing in the relevant section of the child support guidelines conditioned attribution of income on voluntary unemployment or underemployment, the relevant section provided that at least minimum wage income be attributed to a parent ordered to pay child support, regardless of work status, and, further, the relevant section expressly provided that the court could decline to attribute income to either parent.